Calcium has never been so delicious! An excellent product for people who have trouble swallowing pills. This special formula nourishing the bones combines 500 mg of calcium (calcium carbonate) and 100 IU of vitamin D. Each chewable tablet has a wonderful taste of vanilla cream and has only three calories. Other ingredients: Fruit juice sweetener, mannitol, calcium palmitate, stearic acid, Bavarian cream flavor, vanilla flavor, menthol flavor. 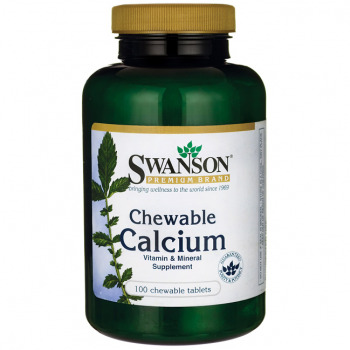 Suggested Use: As a dietary supplement, chew one tablet two times per day followed by 8 ounces of water.